A recent selection of a native North American wildflower. This forms a tall, upright clump of long green leaves, bearing clusters of white vanilla-scented flowers in mid-summer that are a magnet for butterflies! 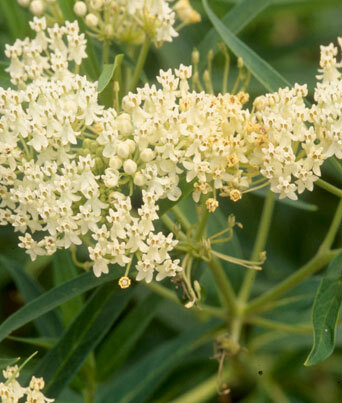 Certain species of butterfly also lay their eggs specifically on this plant, which the larvae use for food. Useful in the perennial border or wildflower meadow, and very easy. Height: 3-4' Exposure: Full Sun Single Pot Photo courtesy of Walters Gardens, Inc.